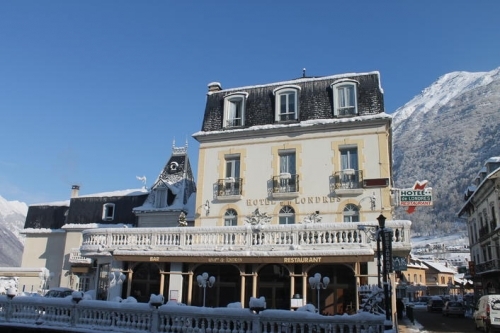 This small elegant boutique hotel with its Belle Epoque feel and charm sits proudly beside the river Bastan in central Luz Saint Sauveur and is ideally located just metres from the ski hire and ski bus terminus. 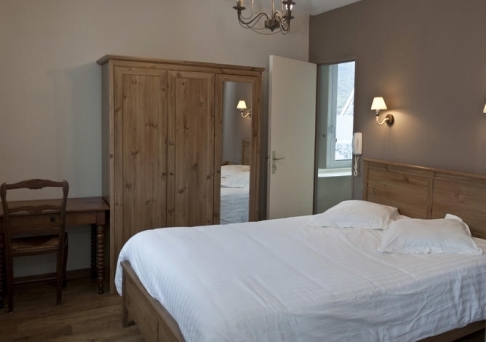 The family run Hotel de Londres has an idyllic location beside the babbling Gave de Bastan River that runs through the centre of the charming town of Luz Saint Sauveur. With such a central location, all the amenities and restaurants and bars are on your doorstep whilst the ski bus terminal and ski hire shop are literally a stone’s throw away. 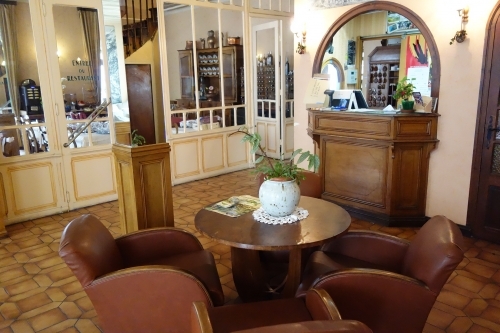 Built during the belle Epoque period of 1900 – 1920s, the hotel welcomed the English to the royally acclaimed spa town of Luz and therefore took on the name of Hotel de Londres. 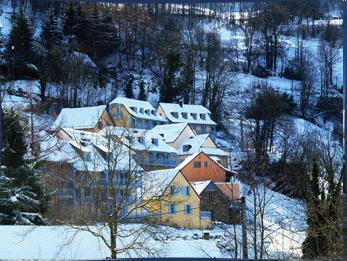 Today the town still thrives on the acclaim of the beautiful Luzea spa located just above the village but also now attracts with its modern and diverse ski area. The hotel with its exterior Belle Epoque architecture has also retained many of its original features within. The breakfast room and the public areas boasting high ceiling and hand crafted woodwork whilst the small bar with its fireplace is so typically charming and French that you could while away the hours simply soaking up its authentic feel. The Belle Époque style dining room serves traditional and regional cuisine and has a large bay windows opening to the outdoors and outdoor dining terrace. Outside, the small and delightful riverside terrace welcomes with the gurgling melodies of the Gave de Bastan as it babbles by on its route from the nearby mountains on view here. A short bus ride up to these stunning mountains and the Luz Ardiden ski area beckons with great skiing and some amazing off piste tracks. The rooms in the hotel are located in two wings within the hotel. The original part of the hotel is accessed by a beautiful large wooden staircase sweeping up from the lounge area. Here the classic rooms have retained many original feature such as the original woodwork and parquet floors. 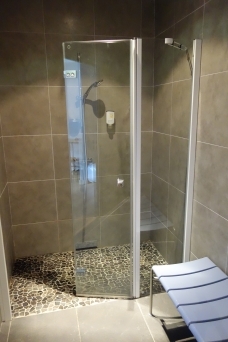 The new section of the hotel is served by a lift and has bright and fresh superior rooms with their sleek shower rooms some of which have a separate WC. However, each room is totally unique and whilst some rooms of the first floor have a Juliette balcony other rooms have a shared terrace or a small balcony. For a centrally located hotel the views ore all lovely – some may enjoy a view of the Pyrenees whilst other may view the Solférino chapel sitting steadfast on the hill, a reminder of Luz’s most famous visitor, Napoleon III. People watchers will love the views of the pretty town below with its river and town square nearby. After all the exertion on the slopes and, a little pampering may be in order. Just above the village is the famous “Luzea” spa where a range of treatments using its natural spa water which is rich in sulphur and rare gases will invigorate the weariest of skiers. 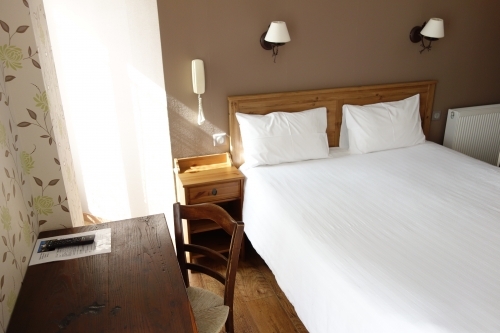 Each of the warm and welcoming rooms at Hotel de Londres has an individual style, layout and view. 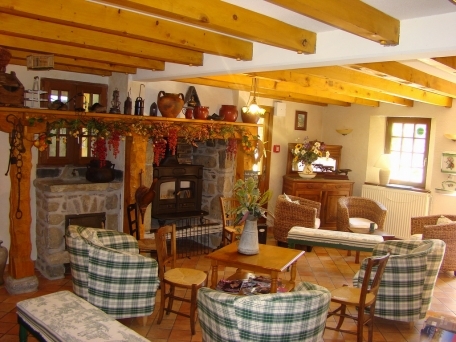 They all have free Wi-Fi internet access, flat-screen TV, direct dial telephone and safe. The bathrooms have a shower, heated towel rail, hairdryer and in most cases a separate WC. Some rooms have Juliette balconies (on a request only basis). Superior Double or twin room with shower sleeps 2 (ca. 18m2): Double or twin beds with ensuite shower room & WC. Classic Double room with shower room sleeps 2 (ca. 18m2): Double bed with ensuite shower room with WC. Superior Family room with ensuite shower rooms sleeps 4 (ca. 36m2): Superior double room interconnecting with a superior twin bedroom with ensuite shower rooms & WCs. Half board, bedroom with continental buffet breakfast, Wi-Fi internet access, ski room access, lift, lounge, TV and bar area, shaded outdoor garden and riverside terrace. Only one pet per room is allowed and are free of charge. A valid passport for your pet is compulsory. Arrival day at Hotel Londres is daily from 14:00 and Departure by 11:00.